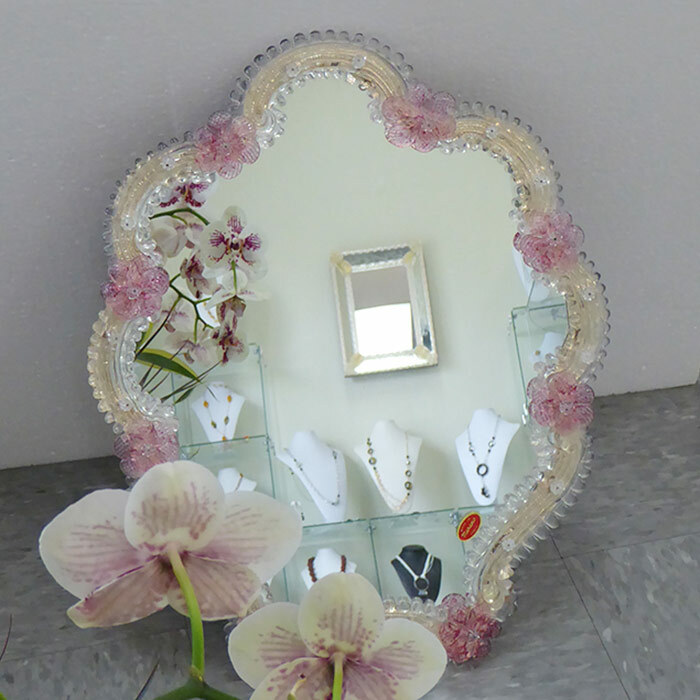 Venetian glass mirror featuring pink flower accents set on wood backing. 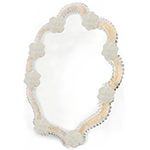 Beautiful on any table top or as a wall accent. Dimensions are 15 inches across by 18 inches tall with a backing of wood. A hinged foot allows it to stand on a table and an attached ring allows it to hang on a wall. 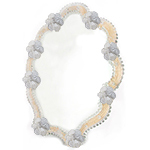 Handmade Murano glass crystal swirls adorn the mirror accented by the handmade Venetian glass flowers.